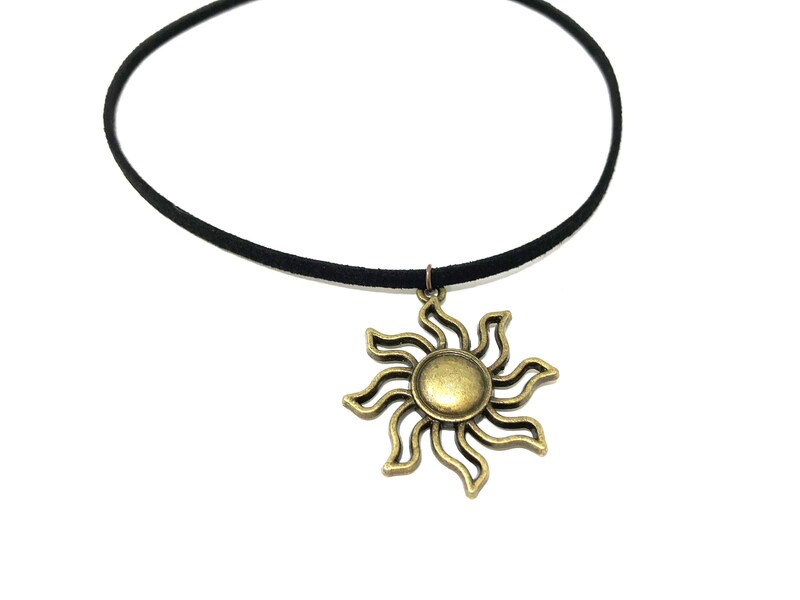 This adjustable choker features a bronze sun charm on black faux suede cord. Measures 12 inches with a 5 inch brass soldered extender chain. This is a limited edition item.